Chennai Super Kings (CSK) beat Rajasthan Royal yesterday by four wickets and hence MS Dhoni became the first cricketer to win 100 matches in IPL. New Delhi: MS Dhoni, better known as ‘Captain Cool’, lost his cool in a match on Thursday and was fined 50 per cent of his match fee when he came down to the field to argue with the on-field umpires. Chennai Super King (CSK) needed 8 runs to win the match and the medium pacer bowled a full toss to Mitchell Santner, who had just come out to bat after the dismissal of MS Dhoni. Santner managed to get it away for a double but umpire Ulhas Gandhe signalled a no-ball as he considered the ball to be above the waist of the batsman at the point of contact with the bat. But the decision was overruled by leg umpire Bruce Oxenford who had a better view of the situation. This left CSK needing 6 runs from 2 balls to win. Santner and non-striker Ravindra Jadeja protested but Oxenford didn’t budge. Things came to a head as an angry MS Dhoni walked onto the pitch and signalled to Oxenford that the umpire at the bowler’s end had signalled a no ball. 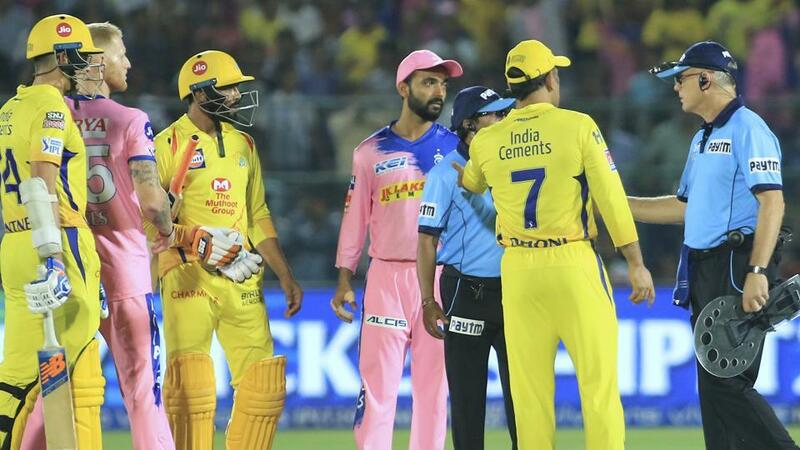 There was a lot of commotion as the CSK trio kept protesting but the umpires by then had made up their mind and the no-ball was scrapped. CSK captain was subsequently fined 50% of his match fee. 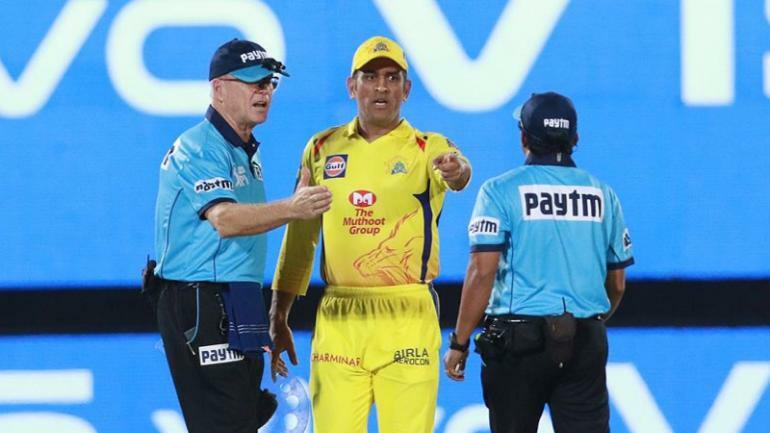 “MS Dhoni, the Chennai Super Kings captain, was fined 50 per cent of his match fees for breaching the Indian Premier League’s Code of Conduct during his team’s match against Rajasthan Royals at Jaipur. Dhoni admitted to the Level 2 offence 2.20 of the IPL’s Code of Conduct and accepted the sanction,” said a media release from IPL. Despite the controversy, MS Dhoni became the first cricketer in the history of the Indian Premier League (IPL) to win 100 matches as skipper after CSK defeated Rajasthan Royals by four wickets in Jaipur on Thursday.